Hello my name is Jill and I'm a sampletrain-aholic. I'm 42 and like to surround myself with the male species as you'll see below. Had a career that I left when I was pregnant with the chimp, now I work from home, pick my own hours all while taking care of my "boys". Yes, that includes my husband the gorilla. The monkey is in the Army, served 1 tour in Iraq and was just deployed last Wednesday for Afghanistan. 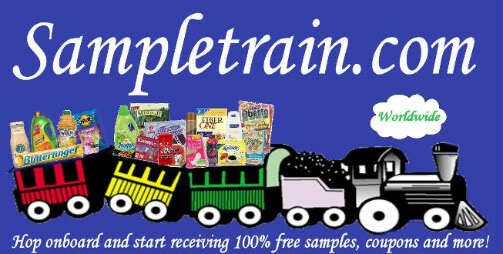 Jill wrote: Hello my name is Jill and I'm a sampletrain-aholic. I'm 42 and have a wonderful family as you'll see below. Jill i busted laughing when i saw your post! Laura.....yeppers, I just throw any old slop at them and they eat it up. Ocean...glad I could make you laugh today. I just modified my post. I was in the middle of working when I did it the first time. It's complete now. Back to work for me. thank your monkey for his dedication to this country! My BIL just got deployed over in afghan too. @Jill I also wanted to thank your monkey for his service. @Laura thank your BIL too!! Jill, you really had me going. I really thought that you had a gorilla, monkey and a chimp until I read more of your post! Thank you for the smile! Ocean, I really hope you find your personal stuff soon! Thank you Flame & Laura. Laura, same to your BIL. May they all come home quickly and safely. Ocean....did you lose it at home or away from home? I'm sure hoping you find it soon. Kathleen.....just my warped sense of humor today. Yes, a huge thank you to our service people!!! Loving these posts. Thanks for the smiles. I am 36 years old and have been with my hubby for 16 years and married 15 1/2 years.we have 3 children. I got a invite to join this sample group from Dee and love it.in my spare time I do a coupon train and love to read and paint oil paintings and love to shop thirft stores and go to yard and garage sales.we are not allowed to have pets. Hi...Laura, what a fun idea! I am 41 years old and have a 4 y.o. son and an 18 moth old daughter (it's amazing how much energy they have...or maybe I'm just getting old!). My hubby and I have been married for almost six years; I am a stay-at-home momma and am also working on my Masters Degree (I am halfway there)! In my previous life, I did pharmaceutical sales for 10 years. We have no pets, and I think I stumbled across SampleTrain while I was up in the night nursing my daughter! I'm glad I found it! Wow...lotsmof military families. God bless all of them, and everyone else who gives them up to protect our freedoms!